In what may be the most significant diplomatic step in the Balkans since the end of the war in the 1980s, after 27 years, a name deal has been agreed between the governments of Greece and Macedonia, or the Republic of North Macedonia, as it will now be known. 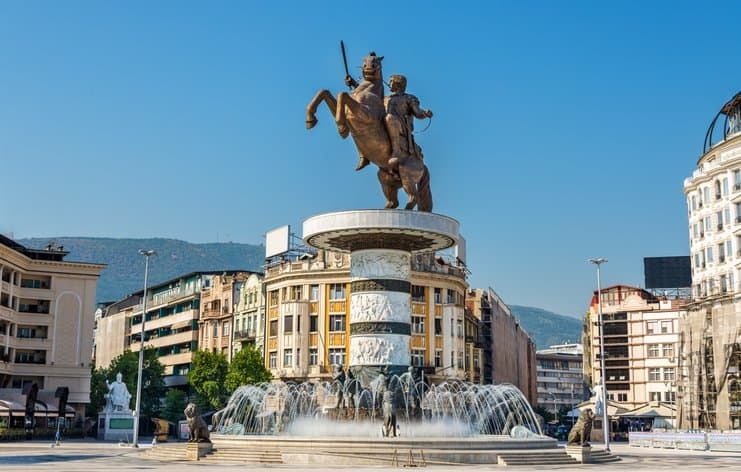 As most of the ancient kingdom of Macedonia is within its borders, Greece has opposed the use of the name by its neighbor, which it unilaterally chose for itself as it declared independence from Yugoslavia in 1991. The majority of Greeks still oppose the use of “North Macedonia,” and the deal was only narrowly approved with 153 votes in support in Greece’s 300-seat parliament. Greece, a member of both NATO and the European Union (EU), has been blocking Macedonia’s membership to NATO and the beginning of accession talks with the EU until the name dispute was resolved. At the same time, a bill expanding the official use of the Albanian language has been published in Macedonia’s official gazette, making it law. The legislation was signed by Parliament speaker Talat Xhaferi, an ethnic Albanian, bypassing President Gjorge Ivanov, who had been legally obliged to sign it into law after parliament approved it twice in separate sessions last year. Despite ethnic Albanians comprising about a quarter of Macedonia’s 2 million people, Ivanov claims the bill is unconstitutional and unnecessary. Under the legislation, Macedonian continues to be the country’s official language, but Albanian, which has until now been an official language only in areas where the minority makes up at least 20% of the population, will be used more widely. The measure also boosts the use of the language at the national level, including in administrative, health, judicial, police, and other official matters. Elected representatives were already allowed to use Albanian in Parliament, but under the new law, the speaker will be allowed to speak and lead sessions in that language.